Indian citizens seeking a job abroad need to obtain an apostille in order for their personal and educational records to be recognized. Apostilles will be issued by the Ministry of External Affairs’ CPV division and will be required for documents such as birth certificates, affidavits, marriage certificates, power of attorney, degrees, and diplomas. Personal documents need to be first verified by the home departments or general admission departments of the individual’s respective state. Education documents must first be authenticated by the regional authentication center. The MEA will issue the apostilles only after the documents have been initially attested. The MEA will not issue apostilles for commercial documents that are not covered by the Apostille Convention. With destination weddings in Prague and Vienna becoming increasingly more popular, it is important to familiarize yourself with the laws of Austria and the Czech Republic well before the wedding date. Be aware that both countries require you and your future spouse to submit various documents two to four weeks in advance. These documents include passports, birth certificates, drivers’ licenses, proof of residence, and proof of marital status (such as divorce or death certificates for previous marriages). Your documents must receive an apostille stamp in America, and they need to be translated into the respective country’s local language. 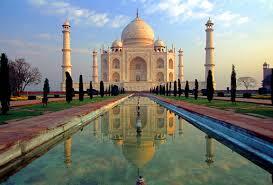 The translations must also be certified, which is usually done in the country in which the wedding will take place. Normally you have to submit your documents and marriage application in person to the appropriate government offices (such as the town hall in Prague or the Office of Vital Statistics in Vienna) at least two weeks before the wedding. For this reason it is advised that either you or your spouse arrive in the city two weeks prior to the wedding. Each government embassy charges different fees for these procedures, which you can verify either by phone or on the appropriate embassy’s website. 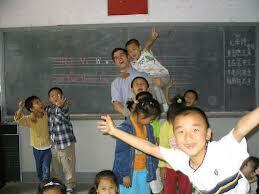 Many recent college graduates are finding employment overseas teaching English. There is a strong demand, particularly among Asian countries, for English-speaking foreigners to teach English to students wanting to sharpen their English-language skills. Many companies and families hire students on a contract basis. 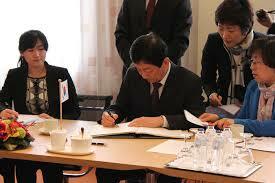 However, the screening process can be lengthy involving various agencies of the applicant’s home and host countries. If you are teaching English abroad, after you have obtained your background check from the Department of Justice, you will need to have it notarized. Then, you will need an apostille for both your background check and your diploma. Atlanta Notaries will notarize your diploma and background check; just bring us a copy of the documents as well as the originals. We will notarize your paperwork quickly and efficiently so that you can get it apostilled. Atlanta Apostille will obtain the apostille for your documents so you can begin life abroad. Call us today at 404-323-4211 to set up an appointment. Legal documents from Korea will now be recognized for use overseas without an apostille or certification from foreign embassies, said the Ministry of Justice. Before Korea joined the Hague Convention, in order for documents to be used outside the country they had to be certified by the respective government embassies, either the Korean embassies abroad or foreign countries’ embassies in Korea. Now, Korean documents are essentially equal to documents of all other countries participating in the Hague Convention and do not require further certification. This greatly simplifies the process of sending documents abroad and eliminates the inconvenience of having to visit multiple government embassies.